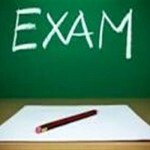 As the Leaving Cert and Junior Cert exams approach we extend a warm welcome to students and their families to Church of Our Lady, Roslevan on Saturday 2nd June at 6pm. Organised by Mid Clare Youth Council. All welcome.